Facebook is embroiled in an ongoing row over privacy. Here, we talk you through some of the key things you need to do to manage your Facebook account. By Claudine Beaumont, Technology Editor of The UK’s Telegraph Online. The changes have caused something of a backlash among both the user community and the technology industry, with some commentators questioning whether these changes are the thin end of the edge, and may even result in users leaving the social-networking site in their droves. Deactivating your account simply involves going on a temporary hiatus; it does not permanently delete your personal information. If you deactivate your account, you immediately become invisible to other Facebook users, who will no longer be able to access your profile. However, Facebook “saves” your profile on file, so that if you choose to reactivate your account in future, then all of your friends, photos, lists of interests, games and other preferences, are automatically restored so your account looks just as it did before you deactivated it. Deactivating an account is fairly simple: when you’re logged in to Facebook, click on the Account tab on the top right-hand side of the page. From the drop-down list, select “Account Settings”. The final option on the page is “Deactivate” – click on the link to be taken through to the deactivation page. Facebook tries to tempt you in to reconsidering, telling you that your friends “will no longer be able to keep in touch with you”; it also asks you to say why you are deactivating your account. At the foot of the page is box that allows you to opt out of receiving future emails from Facebook – if you do not tick this box, then you will continue to receive email notifications every time a former Facebook friend tags you in a photo, invites you to an event, or asks you to join a group. Ticking the box means you will no longer receive these messages. To reactivate your Facebook account, log in to the site using your usual email address and password. You will then be sent an email to that address containing a link which, when clicked, restores your Facebook profile in its entirety. If you’ve reached the end of your tether with being poked, bitten by vampires, asked to take endless quizzes or are simply concerned about privacy issues, then completely deleting your Facebook account is the nuclear option. When you delete your account, Facebook promises to discard all “personally identifiable information” associated with that account from its databases – that’s things like names, email addresses, phone numbers, postal addresses, instant-messenger screen names etc etc. However, Facebook says that copies of some material, such as photos, may remain on its servers for “technical reasons”, but that the material is “completely inaccessible” to other Facebook users, and is completely disassociated from any information that makes it possible to link that piece of content back to an individual user. If you deactivate or delete your account, says Facebook, it will no longer use any content associated with it, either. Committing Facebook suicide, though, takes a little effort – it’s not quite as simple as clicking a few buttons to exorcise your social networking presence. Instead, you need to send a message to Facebook, requesting the permanent deletion of your account. Log on to Facebook, then paste the following address in to your browser window: http://www.facebook.com/help/?faq=12271. It will take you through to a Help page that describes the difference between deactivating and deleting an account. At the bottom of the second paragraph is a link, which takes you through to a page where you submit your deletion request. Click on the link, read the warning entitled “Delete my account”, and then click Submit. The account is deleted immediately, but it can take up to a fortnight for Facebook to clear your information from its cache. A newly discovered supernova in space could unlock secrets to how life was formed on earth, scientists claim. Astronomers believe they have found a cosmic link to how calcium is formed in people’s bones. They say a new type of supernova, called SN2005E, may be the chief source of calcium in the universe and on Earth. Scientists say the mineral provides vital strength to bones, which could show how humans have an ability to stand upright, the Nature journal reported. High levels of calcium and radioactive titanium were detected during observations of the exploding star, both of which are products of nuclear reactions involving helium. So much calcium was present that it accounted for half the material thrown out by the explosion. The star exploded around 110 million years ago in the spiral galaxy NGC 1032 in the constellation Cetus. Supernovae occur when stars reach the end of their life and blow themselves apart. Information about it was collected by the Keck Observatory in Hawaii, the Palomar Observatory in Los Angeles and the Liverpool Observatory in the UK and pieced together to create a detailed picture of the explosion. Professor Alex Filippenko, from the University of California at Berkeley, said: ”We hope that, by finding more examples of this subclass and of other unusual supernovae and observing them in greater detail, we will find new variations on the theme and get a better understanding of the physics that’s actually going on. ”We know that SN2005E came from the explosion of an old, low-mass star because of its specific location in the outskirts of a galaxy devoid of recent star formation. Until now scientists knew of two kinds of supernova. One was caused by an old white dwarf, a faint highly compact star mainly made up of carbon and oxygen. The other occurred when a hot and massive short-lived star exploded leaving behind a super-dense neutron star or black hole. Scientists believe its source is helium ”stolen” by a white dwarf from a companion star. Increasing pressure and temperature eventually caused the helium to ignite in an H-bomb-like thermonuclear blast. Two such supernovae occurring every 100 years would be enough to produce the high abundance of calcium seen in our galaxy, the Milky Way and in all life on Earth, they said. Astronomers believe seven other previously identified supernovae may belong to the same ”family”. By Richard Alleyne, Science Correspondent of the UK’s Telegraph Online. Dr Arthur Stone, a psychologist of Stony Brook University, New York, said the findings were “striking”. “You would think as chronic illness threatens life would get worse but that is not the case because people don’t focus on the threats,” he said. Researchers said the results are consistent with earlier research suggesting increased “wisdom” and emotional intelligence with age – at least through middle age. Previous studies have shown increased life expectancy and widespread early retirement has created a much greater emphasis on “quality of life” among men and women in their fifties. The consequence is instead of settling down to a stereotyped “jumpers and slippers” existence by the fireside many now pursue a vigorous social life in search of personal fulfilment. 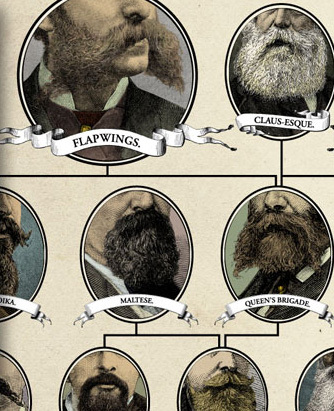 What are the three primary beards? Is a Maltese the same as a Claus-esque beard? What the hell is a Queen’s Brigade? All these and more are addressed in the manliest poster ever made. As Alfred North Whitehead said, philosophy is a series of footnotes to Plato. Let me risk adding a footnote by looking at Plato’s provocative definition of the philosopher that appears in the middle of his dialogue, “Theaetetus,” in a passage that some scholars consider a “digression.” But far from being a footnote to a digression, I think this moment in Plato tells us something hugely important about what a philosopher is and what philosophy does.